THE MOST COMPLETE WAY TO FOLLOW YOUR FAVORITE DRIVER! Recommend: Minimum 4 Mb/s internet speed. 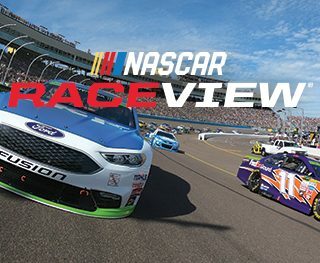 To access RaceView on your mobile device, you will need to download the RaceView Mobile app and login with the same NASCAR.com account used to purchase your subscription. Mobile access is available on iOS and Android devices. For detailed steps CLICK HERE. Mobile Device Access 1. Download RaceView Mobile from iTunes or Google Play Store 2. Open the App and Click LOGIN in the top right corner 3. Sign In with the same NASCAR.com used or created when purchasing 4. 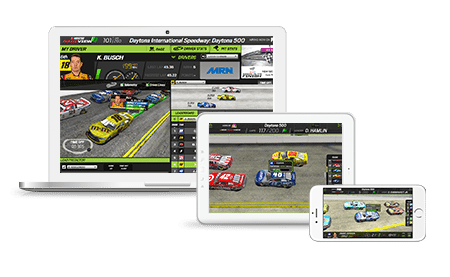 Enter LIVE RACE during Monster Energy NASCAR Cup Series Races 5. You will need to log in again if logging out or accessing on a PC or other supported mobile device 6. Any updates to RaceView subscription information must be done by accessing NASCAR.com/raceview, logging in and clicking on MANAGE SUBSCRIPTION 7. NASCAR.com account settings can be viewed by visiting NASCAR.com, logging in and clicking MY PROFILE in the upper right.